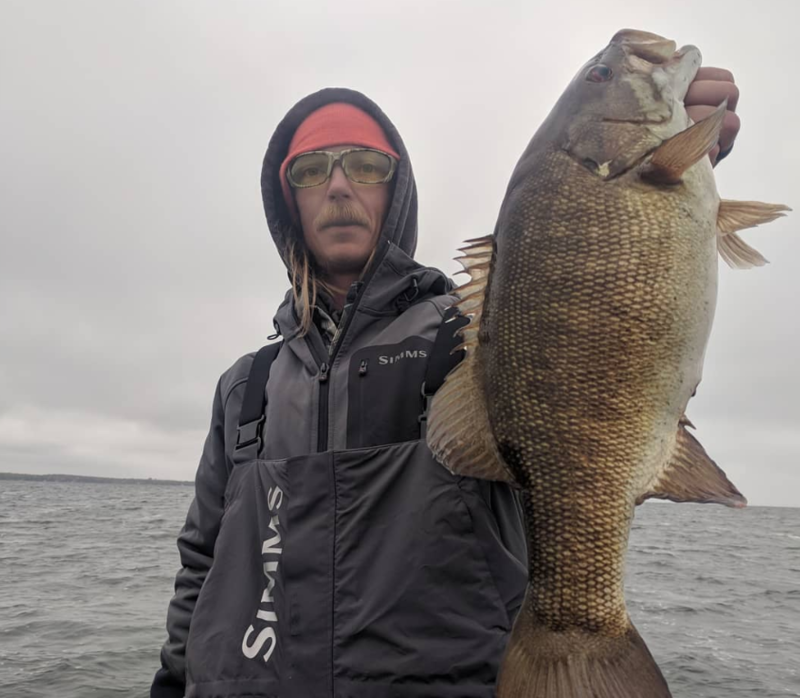 Wintertime smallmouth fishing can be a challenge as bass push out to deep water when winter winds start spitting snow and the thermometer nudges the freezing mark. 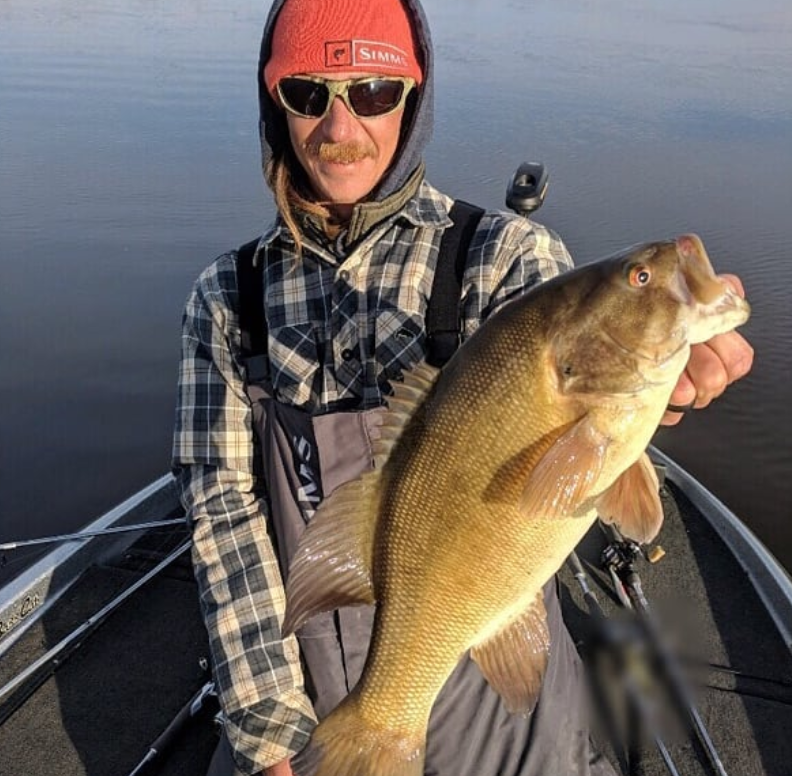 While smallmouth tend to stay deeper than their largemouth cousins most of the year, brown bass dwell in some of their deepest sanctuaries in the dead of winter. Finding these deep fish requires map reading skills and good electronics. The fish practically sit on the bottom and are sometimes inactive so you really have to fine tune your electronics to find them. On Southern waters such as the chain of Tennessee Valley Authority (TVA) lakes, smallmouth usually congregate at depths of 25 to 35 feet along breaklines where you can rely on vertical presentations to trick these bottom-hugging bass. Keeping a constant vigil on your electronics will help you stay on top of the breakline and keep your lure in the strike zone the whole time. On highland reservoirs, you can catch deep smallmouth with a horizontal presentation by casting to channel swings. 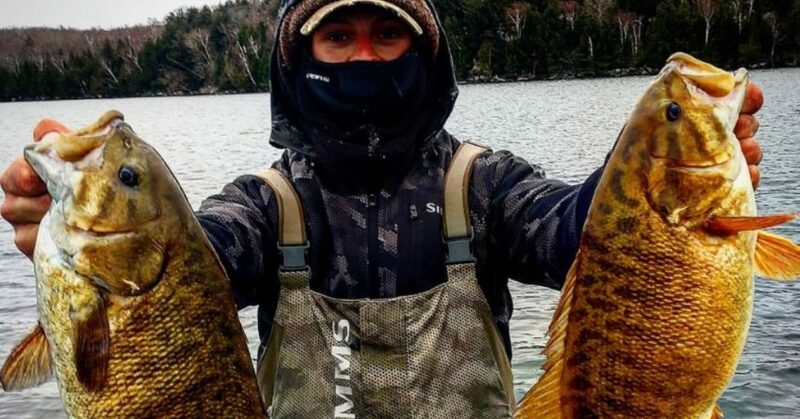 Here are some vertical and horizontal presentations to try for deep wintertime smallmouth. Dropping a 3/4-ounce nickel hammered jigging spoon to the bottom and popping it off the lake floor is a productive wintertime smallmouth tactic. As the spoon drops to the bottom, scan your graph for bass streaking up to the lure. Once your spoon reaches the bottom, work the lure in a subtle fashion. Just pop your rod tip maybe 2 to 3 inches, which is moving that spoon from about 1 foot to 18 inches off the bottom. If smallmouth ignore the spoon switch to a drop-shot rig with a 4-inch finesse worm and hold that bait dead still on the bottom. Jigs and tube baits are top choices for smallmouth when the fish are deeper than 25 feet along the channel swings. Position your boat a slight distance from the channel swing and cast your lure to the structure. Let the lure fall to the bottom and slowly move it along the lake’s floor. The key to this presentation is keeping in constant contact with the bottom and making subtle hops or shakes with your rod. 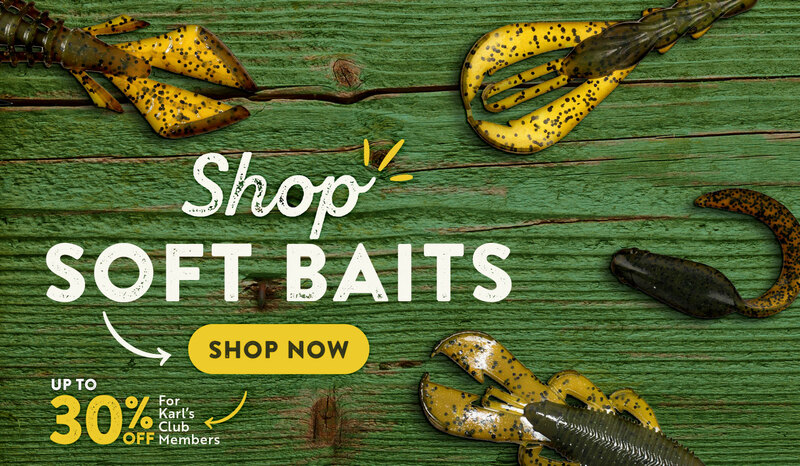 Smallmouth on the channel swings are usually feeding on crawfish or shad so select a 1/2-ounce casting jig tipped with a large plastic chunk in green pumpkin hues or a gray shad tube bait on a 1/4-ounce tube jighead to imitate the forage.